Aaaaah! The Snow Geese are finally on the fly! An amazing sight and sound ... and one I will never tire of! Migration is so amazing! Una meravella en tots els sentits. Thank you! 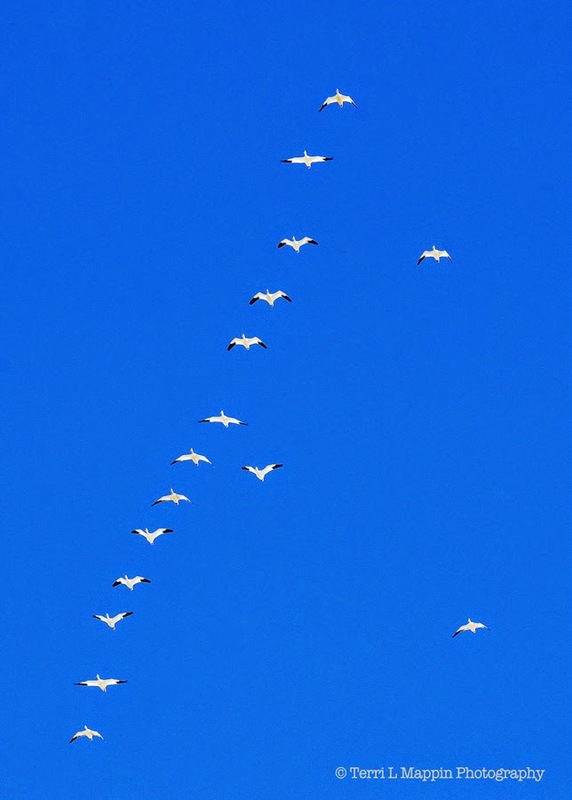 The snow geese are so pretty to watch! Thank you Matt! I've been patiently waiting for the big flocks to come! 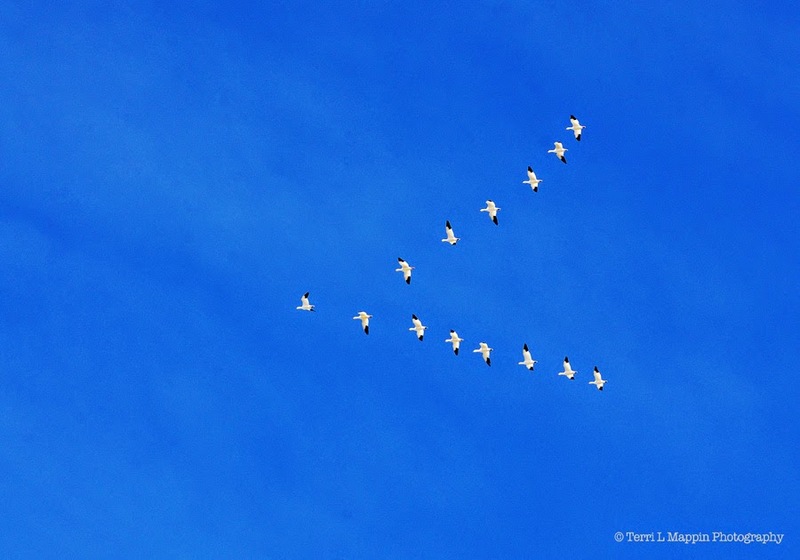 Thanks Sally, hopefully in a few more days the sky will be WHITE with snow geese. When the big flocks start migrating its just like wave upon wave of geese in the sky!